Today I have a guest post from fellow plant based blogger, Faith from Faithful Plateful! 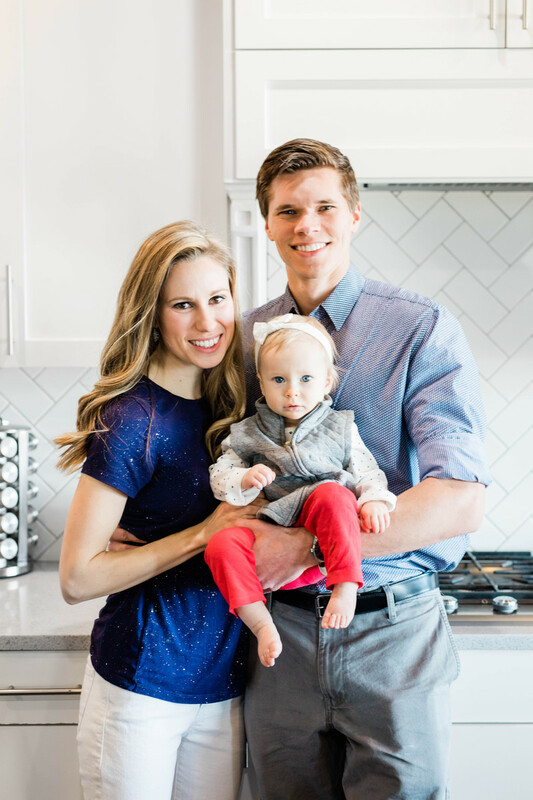 I hope you enjoy this easy, healthy and protein rich recipe from Faith! Have you seen the yellow Tasty Bite pouches of ready-to-eat Madras Lentils? They are often sold at Costco. Anything convenient and yummy is a tempting purchase, and those lentils are even pretty healthy! What might contribute to how yummy they are is that they have oil, butter, and cream, along with the nutritious lentils, tomatoes, and ginger. I wanted to create a make-at-home version that would inevitably be cheaper (those pouches are $3 apiece, and are fairly small) and would be just as flavorful without the extra fat and dairy. 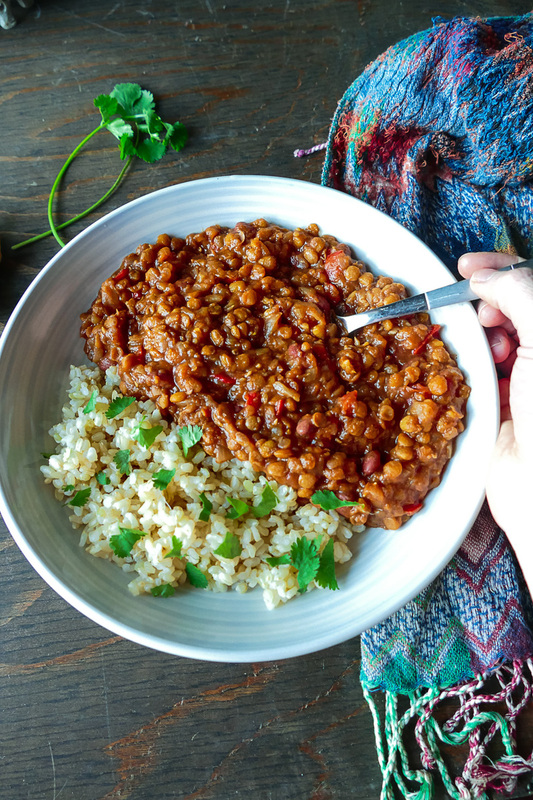 If you have an Instant Pot or Crock Pot, this meal is extremely easy! Just chop up an onion, red pepper and garlic, and you’re over halfway there. Getting iron from plant sources (non-heme iron) has also been correlated with a lower risk of insulin resistance and diabetes. Several studies have linked heme iron with an increased likelihood of developing diabetes (you can see a couple of examples here and here). Just one more reason to get your iron from sources like lentils and greens instead of red meat. I’ve made several test batches of this recipe, and my 1-year-old daughter has been the most enthusiastic taste-tester! I hope your kids love it as much as she does. You can use any kind of lentils you have on hand. I’ve even used red lentils, which are mushier than brown ones, and it was super delicious, almost more creamy. If you make this recipe, please let me know how it turns out by coming back to leave a rating and comment! 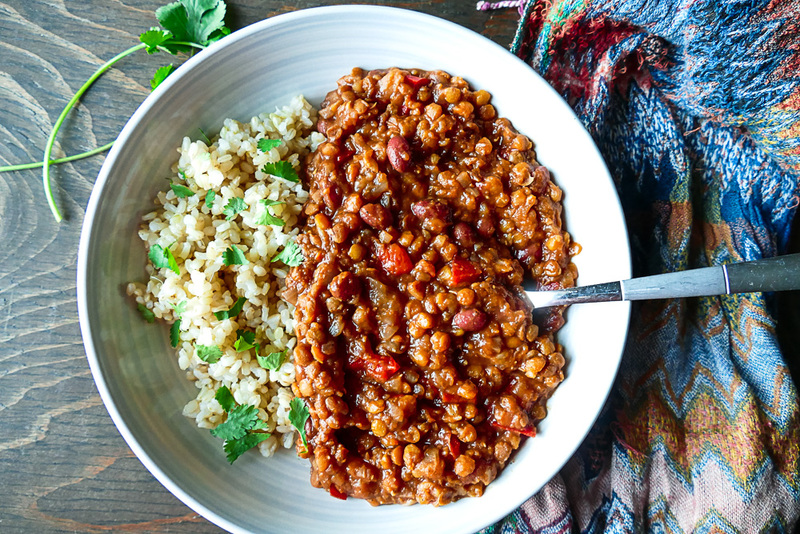 Delicious lentils in a flavorful (but not spicy) sauce. Quick to make in an Instant Pot, slow-cooker, or on the stove. Set Instant Pot to Saute setting for 6 minutes. Saute onion, bell pepper, garlic, ginger, and spices until onions are fragrant and starting to get soft. Add tomato sauce, vegetable broth, and lentils. Set Instant Pot to High Pressure for 20 minutes. Let it quick release. Stir in can of red beans, and serve. Combine all ingredients in the crock pot, and let cook on HIGH for 2.5-3 hours, or on LOW for 6-8 hours, or until lentils are tender. Saute onions, bell pepper, and ginger in a splash of water on high for 5-10 minutes, until onions are soft. Add garlic and spices and cook 2 minutes more. Add remaining ingredients, and bring to a simmer. Let cook, covered, at a slow simmer for 25-30 minutes, stirring and adding more water or vegetable broth, if necessary, to prevent the bottom from burning. Cook until lentils are tender. Check out Faithful Plateful’s blog here!